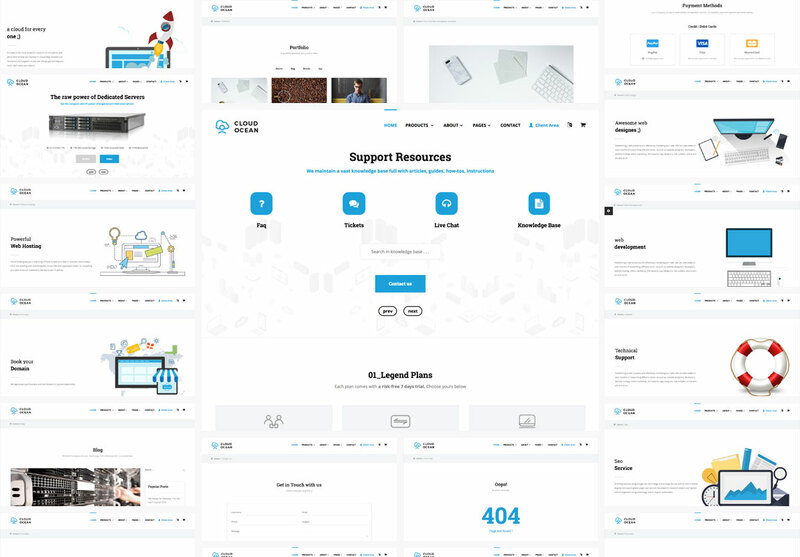 CloudOcean - Responsive Hosting WHMCS Theme, Cloud Ocean is awesome and clean Theme multi pages, Theme is designed for Hosting Companies, Contains +25 Custom Pages which have been well organized built using 1170 grid system . Which languages The Theme support? Will this Theme work on other cms ? No. 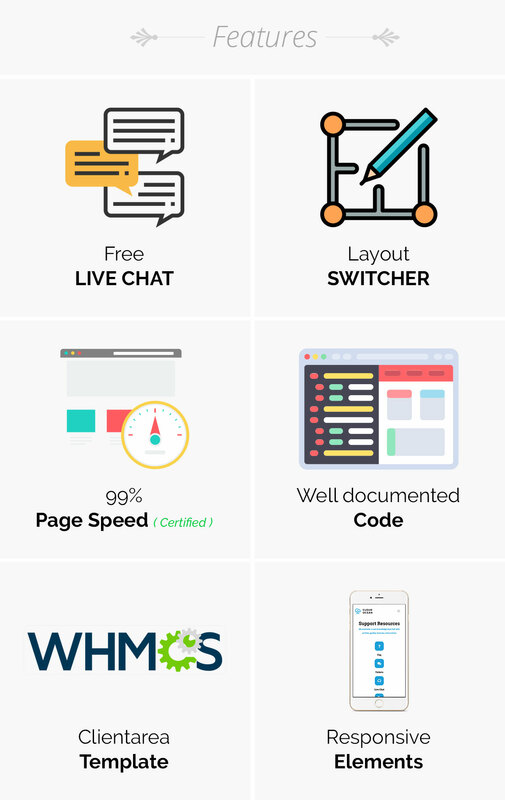 This Theme is a WHMCS Theme . Can WHMCSdes install this Theme on my website ? Yes, all of our paid Theme include Theme installation at no additional cost.